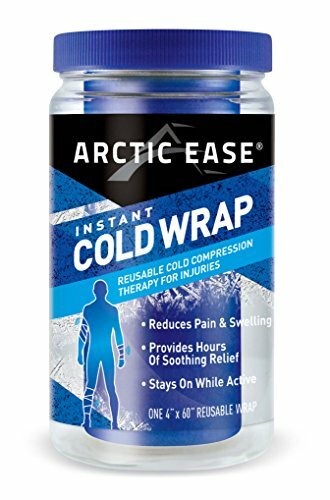 Treat your aches and pains with the soothing cold relief with Arctic Ease Instant Cold Wrap - Blue. Instant Cold Wrap is a 4" by 60" reusable cold compression wrap that stays on securely even while active. Can be used before, during and after exercise. Once Arctic Ease wraps are applied, they'll stay where you put them without the need for tape or clips. If you have any questions about this product by Arctic Ease, contact us by completing and submitting the form below. If you are looking for a specif part number, please include it with your message.